London: Printed for J. Tonson, 1714. Hard Cover. Good. Folio. 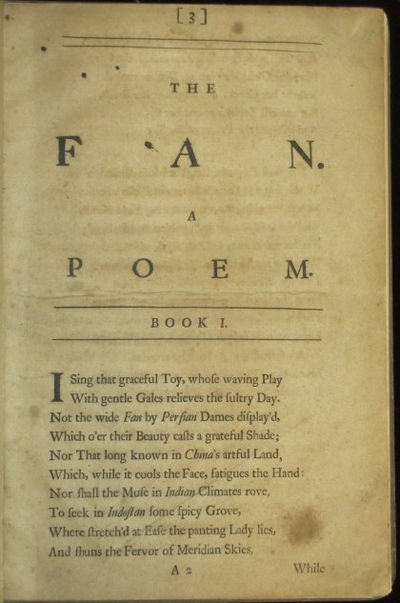 The Fan, A Poem in Three Books. A good copy bound in paper covered boards. Lacks title page. Pages toned. Covers with mild wear. 32 pp.